The Hotel boasts 44 two bedrooms and 4 apartments with a living room. The rooms are recognizable for their elegant interior and each room is equipped with TV cable, cupboards, wireless internet, bathroom and a lovely balcony with beautiful views of the river Crn Drim and its surrounding. Its guests can enjoy delicious traditional dishes in the hotel's restaurant or relish a drink in the modern bar. The hotel is also suitable for business persons and professionals as it features spacious meeting room, and for special events such as weddings, gala dinner and cocktail party. 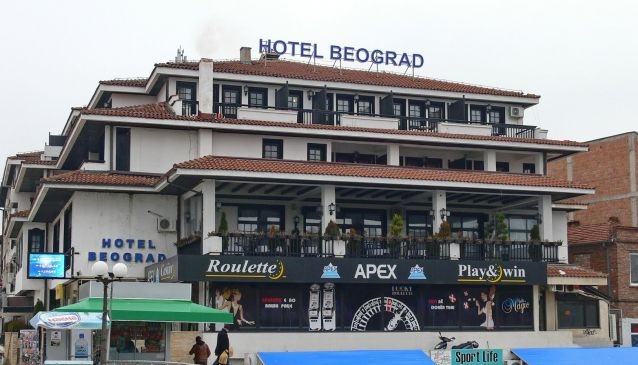 Only 2 minutes walking to the city centre and 500 metres from the Ohrid Lake, Beograd Hotel has all characteristics for a comfortable and pleasant stay.